There are 10 birthday self reflection questions that you need to ask yourself every year. Self reflection questions are vital if you want to start self improvement. One of the best times to ask self reflection questions is on your birthday. And guess what? It’s my birthday today. I’m looking forward to getting my (typically Buddhist) birthday gifts. But more importantly: It’s a time for reflection, a time for looking backwards and looking forwards. I wish birthdays were called “Rebirth-days”. Because they are a time of self renewal. Birthdays are a time to let go, and to move on. I am about to do some fantastic birthday self reflection questions and I’m hoping you will follow along. These self reflection questions will open your eyes to the past and future, and they will help you to move forward in life. Of course, it might not be your birthday today, but you can still use the questionnaire below for some wonderful self reflection. This is a very simple questionnaire that only takes a few moments to complete. But it’s the absolute best self reflection exercise and you will find it immensely beneficial. I’ve completed the questionnaire myself to give you an example. And I’ve rewritten the questions below so you can copy and paste them into word to complete the questionnaire yourself. Take your time with these questions. Remember, this is about self reflection. Take your time to answer these self reflection questions. 1. The first birthday self reflection question is this: What are you happy about from the past year that you will continue next year? Explanation: It’s important to train the mind to be positive. One way is by asking what you’ve done well recently. When you acknowledge the good in life you welcome more of it. This self-reflection question is designed to get you to see the good things that you have done from the past year. It can be easy to take yourself for granted, and that is never a good thing. By writing down the things that you are happy with, you acknowledge your successes and motivate yourself to continue in the same fashion for the next 12 months. And bear in mind, there are lots of different ways of measuring success in life. I am happy that I am dedicated to this blog, because this blog represents me and represents the things that I am most passionate about. It is a challenge making money doing something you love, and it takes courage and determination to carry through with that. So I am proud for the hard work I’ve put into this. 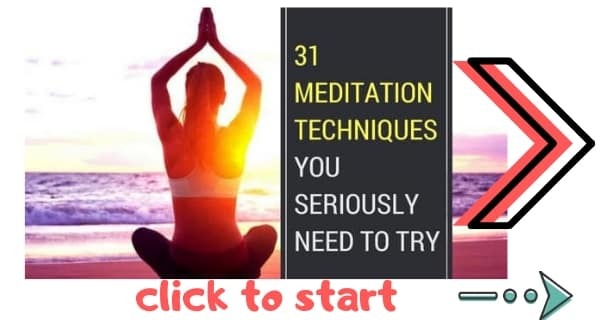 I will expand on this by making more Youtube videos, creating a meditation app, and putting more effort into promoting the site (… speaking of which, take a moment to LIKE The Daily Meditation on Facebook and Twitter. And if you enjoy this post, please share it). Note: I’m writing just one thing as an example. When you fill out the questionnaire, keep going. Write down absolutely everything you are happy about. 2. Time for our second self reflection question: Did you take anything for granted? One of the easiest mistakes to make in life is to take things for granted. Maybe you take yourself for granted and don’t do enough to reward yourself. Maybe there is a specific person in your life who is always there for you and who you should really show more thanks for. Maybe you take your health for granted. When you take things for granted you don’t do enough to acknowledge those things, and that can lead you to losing them. This will make you appreciate them more and will also make them more likely to stick around. To take this further, do this meditation on gratitude. Even despite the fact that I commit to a practice of expressing gratitude every day, there are still some things I take for granted. One thing I have taken for granted is time. I am very aware of how quickly time goes, especially today now that I am another year older. There have been many days that I could have made more of, days when I worked on this and my other blog (FictionEarth.com) so hard that I didn’t even get outside in a 24-hour period. Eeeeeesh. For the next 12 months I will wake up with the rising sun, and spend more time out in nature. Explanation: Self Actualisation  is the realisation and fulfillment of your potential. People who have achieved self actualisation are 100% true to themselves and are driven by their passion. So, our next birthday self reflection question is this: re you self actualized? My answer: I believe I am close to self actualisation because I am unquestionably 100% true to myself and I do work for my passion every single day of my life. However, I do also get distracted and sometimes take tangents. I will zero-in on my passions and not allow myself to get distracted. Of course, we all know the important of health. And we all wish we could be 100% healthy. Sometimes, perfection is unobtainable, though. That’s why when you self reflect on your health you should zero-in on one or two things. My answer: If I had to review my health over the past 12 months I’d give myself a 7 out of 10. I’ve been meditating and exercising every day, which is great. But I could cut down on coffee and take more breaks from work. That is what I will do for the next 12 months. Remember, when you answer these self reflection questions you will want to write more lengthy answers. I’m answering the questions in short just as an example. It’s important to stop negativity. (Here’s some tips to stop negative thoughts). Inevitably, there will be some negative thoughts that run through your mind. Even we positivity warriors get down from time to time. What you need to ask is this: Are there negative thoughts that have run through your mind for a sustained amount of time? If you have recurring negative thoughts, now is the time to acknowledge them and to do something about them. So our next birthday self reflection question is this: How negative are you? What negative thoughts keep going through your head? What are you going to do about it? There is one negative thought that runs through my head 24-7. That is that I will end up homeless because I take too big a risk on my blogs. I literally work on my blogs every day. And it is not a very safe source of income. In order to get rid of this negative thought, I will look for extra ways to monetise my work so that I have financial security and don’t end up having to get a loan. One of the most important ways to become enlightened is to remove fears from your mind. Fears hold you back in life. They are the “Slow Down” signs that prevent you from going full-throttle. And while some fears are helpful, others are damaging. One of the best questions for self reflection is: What fears are holding you back that you really don’t need in your life? So, our next birthday self reflection question: What fears do you have? Removing a fear is like removing a weight around your neck. You’re going to move faster and more easily without those weights. Get rid of them today. I am afraid of going back home to England. Because I am afraid my family will judge me. I emigrated to Canada years back to be with my girlfriend. Since then, I have been unable to become financially secure, while everyone else in my family is very well off. And I worry that when I go home they will judge me. This, by the way, is a stupid fear that is complete rubbish. Because I know my family would never judge me. But fear doesn’t work on logic. It works on emotion. So, while I can logically say, “My family would never judge me”, the fear remains. How will I get rid of this fear? Actually, I don’t have a choice. My brother is getting married and I am going. So, it looks like this fear will take care of itself. Sometimes, a good tomorrow means overcoming scars from your past. We all make mistakes. Even the most enlightened soul takes occasional journeys into madness. And when you do make mistakes, the best thing to do is to learn from them. What mistakes have you made this year that you can reflect on and learn from? One mistake that I have made this year is that I spent too much time taking care of other people and not enough time taking care of myself. I’m a highly sensitive empath, so I am naturally inclined to help anyone in trouble. However, it turns out that there are only so many hours in the day and that when you spent too much time helping other people, you end up with no time to help yourself. I am going to change that. I am going to be more selective with the people I help, and only help people when they really need help and not when they are taking advantage. The time I gain from this I will invest into helping myself. Our relationships define us. The people we spend our time with have the biggest influence on us, and we on them. That’s why it’s important to tend to your relationships like the most ardent gardener. We must make sure to nurture our relationships with love and kindness. After all, flowers need water if they are to grow strong. What have you done that was truly fantastic for your relationships? And what else could you do? I have shown love and kindness to all the people in my life to the best of my ability. And I have helped people when they have needed it. The one thing I could do better is to be more open and confident with people I don’t know. I am very, very kind, loving, and supportive to everyone I am close to, but sometimes I can come across stand-offish to strangers. It’s time for me to change that. Negative people can be anyone from gaslighters to complainers. Negative people are going to hold you back, and they are going to affect your positivity and happiness. So, one important question for self reflection is: How are you going to deal with negative people in your life? Of course, this is entirely up to you. You could choose to get rid of those people altogether. (Note: That is not my approach, but it is an option available to you). You could choose to limit the time you spend with them. You could choose to tell them how their negative actions affect you, and hope they change. What really matters is that you take pro-active steps to handle negative people. So, while you are reflecting on life, ask yourself how negative people affect you and what you are going to do about it. There is one person in my life, in my girlfriend’s family, who is often very negative. And that person does bring me down quite often. The problem is that I am naturally inclined to help everyone, and so I try to help this person, and I only get bitten for it. In order to change this, I am going to stop offering help so freely. If this person needs me I will be there, otherwise I will distance myself. After all, my own mental health is highly valuable to me. In life, we always stand in a forest with many paths, and we can choose to change paths whenever we like. The trick is in realising where our current path is heading, and in knowing when to change course. Where is your current path heading? If it is in a good direction, great, keep on it, maybe change direction only a tiny bit, as though you are correcting your sails. If you are on the wrong path, hey, it’s okay. Look about you. There are myriad other paths to take. And you can choose to change course whenever you like. The very best question for self reflection is this: What path are you on? Where is that path heading? Do you need to change paths? And if so, what new path will you take? My path is in the right direction. I know what I am deeply passionate about. I have a life purpose. And I am working on it every day. My purpose in life is to spread spirituality by writing this blog and by writing spiritual-fantasy fiction. At the same time, I could correct my sails. Sometimes I do get carried of course. My fiction has been put on the sidelines because of day-to-day concerns. I need to focus on my fiction and get my book published. Another way I like to use questioning techniques is to boost my mindfulness. There are 3 very simple questions that will make you more mindful. This easy-peasy-lemon-squeezy question immediately makes you more mindful of your surroundings. It might seem too simple to be effective. But actually, when you ask “Where am I?” a powerful psychological effect takes place and is one of the best ways how to make your mind stronger. When you ask this question you immediately bring your consciousness to your surroundings. Let’s say, for example, that you’re making dinner for the family. Your kids are running around and having all sorts of fun, the TV is blaring out the latest news stories, and there’s a radio on downstairs that’s playing some cheesy pop. That’s all fine. The family’s happy. Fantastic. But because of the noise you can’t focus. Simply ask yourself “Where am I?” This will immediately bring you back into the present moment. When you ask a question, your consciousness has to answer. So when you ask “Where am I?”, your consciousness has to actually observe where you are in order to answer the question. So by asking this one really easy question you bring your consciousness back to the present moment. You can also enhance this effect by practicing an Open Meditation (which just means meditating on the entirety of your surroundings). Ask yourself “Where am I?” and you’ll notice how quickly this question changes your state of consciousness. This is one of the absolute easiest ways to make your mind stronger. Whoa. That was so easy. And it’s one of the best ways how to make your mind stronger. So. What’s next? We’ve all experienced those times when we’re doing something but we’re not focusing on it. You’re driving to work but really you’re not focusing on driving you’re focusing on what might happen if you’re late. So while you’re driving your mind is doing something else. That’s not very mindful. But there’s a really quick, easy, and oh so healthy way to change that. Again, because your consciousness actually has to answer the question, your mind will focus on what you’re doing. “What am I doing?” you ask. From asking that one question your mind has focused, you’ve become more mindful and you’re now focusing on the present moment. This simple technique has been proven to reduce stress and boost happiness levels. And when you ask yourself this question frequently you will make your mind stronger because you’ll naturally become more mindful. Being mindful of your internal energy is really important. It’s something many spiritualists dedicate themselves to. 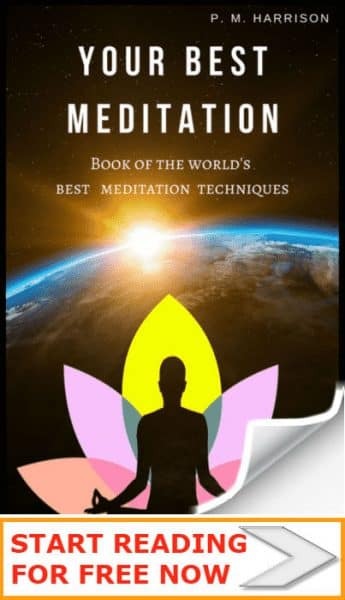 Daoists, for example, practice many different meditation techniques that are designed to bring the mind into harmony with the energy in the body. If you practice Daoist meditation, that’s great. But there is a simpler way to become mindful of your internal reality. Simply ask: What am I feeling? This simple question forces your consciousness to focus on the energy within your body, and on the sensations you’re experiencing. Being mindful of internal energy is truly beneficial. One of the reasons why monks have so much self control is that they are always aware of what’s happening within. This type of internal awareness will naturally make your mind stronger. Your inner energies motivate external actions. Feeling tightness in your chest, for example, could mark the onset of anxiety for people who have panic attacks. But if you’re aware of that tightness when it is just beginning, you can do something about it. So if you know someone who experiences panic attacks, recommend this technique to them. Recommend that they be mindful of their internal energy. Then recommend that whenever they notice a change in that internal energy they should do something different. If you do know someone who has panic attacks, this really simple technique could help them so much. By asking the question “What am I feeling” you make your mind conscious of your internal reality, and that gives you greater control of your external reality. 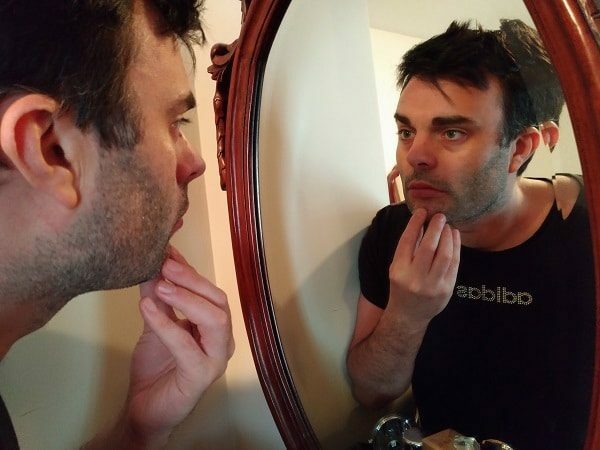 There are very many benefits of self reflection. After all, one of the top laws of self improvement is to learn from your own life. The most important benefit of self reflection is that it open your eyes to ways in which you might like to change. The benefits of self reflection can be astronomical. Especially on your birthday. There’s a special energy you get on your birthday. Let’s call it Birthday Energy. It feels like happiness mixed with melancholy. Today, my Birthday Energy is making me look backwards at the past year, and forwards at the rest of my life. There’s a very keen bridge between past and future today. It is on your birthday that you are most aware of how your past actions have experienced your present reality, and how your next actions will influence your future. Because of this, your birthday is the absolute perfect time to reflect on life and to learn from the past so you’re ready for the future. Now it’s your turn to complete the self reflection questions. Remember, this is one of the very best exercises for self reflection. Activities like this can make you realise things about yourself and about your life. And that insight can prove invaluable later on down the line. I would love to know how you get on with these self reflection questions. Leave a comment and remember to subscribe to our newsletter. And if you are passionate about spirituality and what to realise your true potential, like The Daily Meditation on Facebook and follow us on Twitter.